This is a Project Pinball Charity Challenge Tournament at PAPA 18. 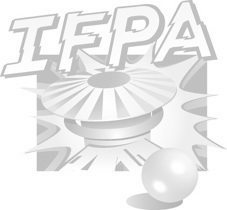 IFPA WPPR points will be given for this tournament. Qualify starts Thursday at 12 noon and will continue until Saturday at 10 pm. Dates and times are tentative and can change. This pinball tournament will be on a single machine. Your high scores can win you prizes and IFPA WPPR points will be awarded. Each day there will be a winner. $5 per entry maximum entries allowed -25. There will be two ways players can win. There will be five winners that will receive prizes and gifts for this charity tournament. First way to win: The Highest Score for the day will receive prizes for that day. This will held each day so there will be a winner each day. The next day a new single day high score contest will begin. There will three single day contest. Second way to win: The Highest Combined Machine Scores for the weekend will be the Grand Prize Winner and be awarded IFPA WPPR points for 1st place. All your machine scores (max 25) will be added together for player’s combine total. The player that has the highest combined total on Saturday at 10pm will be the winner.